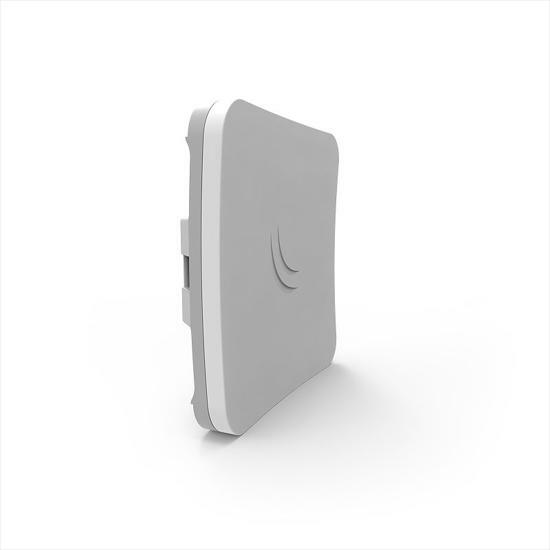 The SXTsq Lite5 is a compact and lightweight outdoor wireless device with an integrated antenna. Perfect for point to point links of up to 12 kilometers or as a CPE unit. It is compact, weatherproof and easy to mount. The SXTsq Lite5 retains a 16dBi antenna like the SXT Lite5, our previous model, yet the antenna design has been improved and the physical size has been dramatically reduced - the SXTsq is two times thinner (see photos for comparison). The device can be mounted on horizontal and vertical poles and masts, but for precise alignment, separately available is the QuickMount Pro, which allows to adjust in every angle (see photo and related product). - SXTsq Lite5-US (USA) is factory locked for 5170-5250MHz and 5725-5835MHz frequencies. This lock can not be removed. - SXTsq Lite5 (International) supports 5150MHz-5875MHz range (Specific frequency range can be limited by country regulations). Sign up to newsletter and stay in touch. Copyright © 2019 WAN Online Store. All rights reserved.